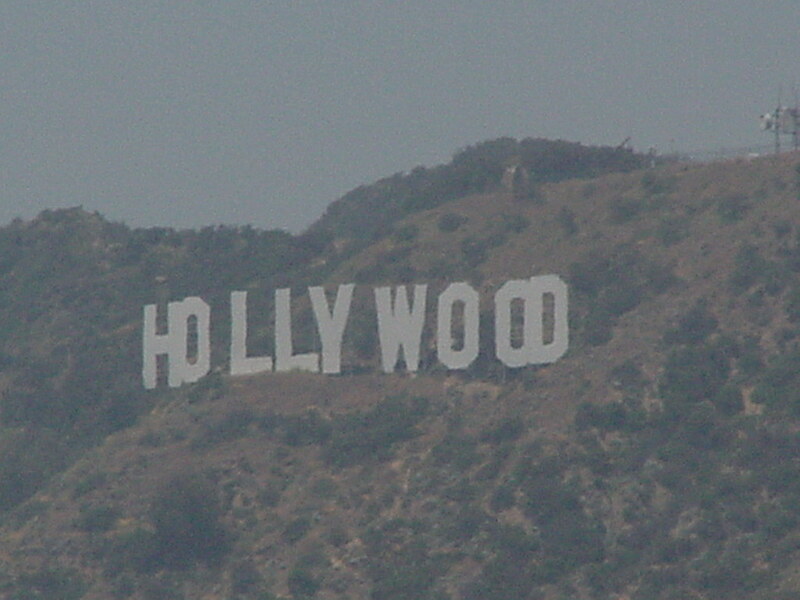 This is really "above Sunset" -- Hollywood as seen from Mulholland Drive on a hazy afternoon. In the foreground the seats at the Hollywood Bowl. Right in the middle, the white thing is the Cinerama Dome on Sunset Boulevard. It's better if you click on the image for the high-resolution version. Hazy and a bit off-center. Kind of like this publication. 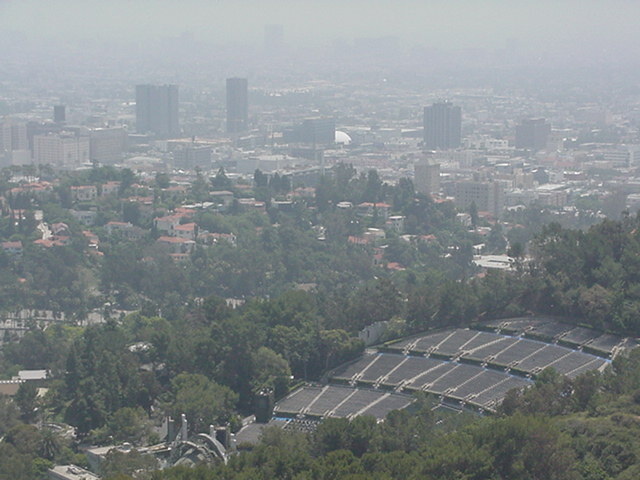 This is "June Gloom" in Los Angeles. 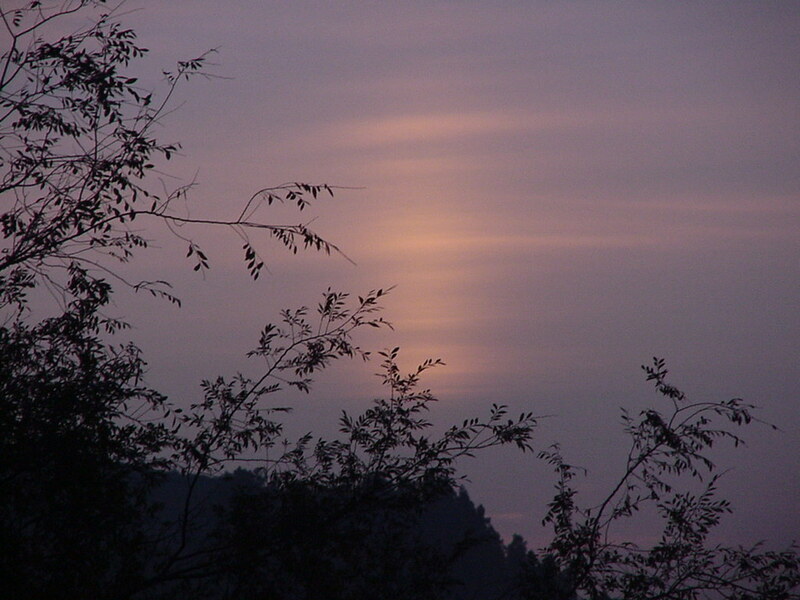 A heavy marine layer each morning that may burn off by early afternoon, or not. Even when it does the air is translucent, providing great filtered light for the folks making movies outdoors, but a bit dismal for the rest of us. By early July the pattern shifts and the skies clear, and then the smog arrives in mid-August. 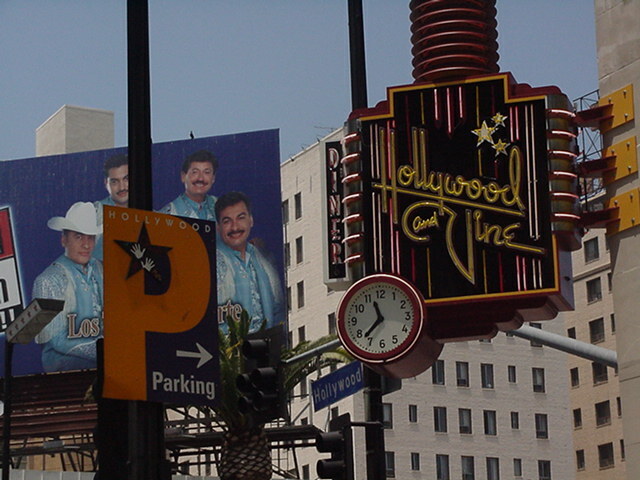 Hollywood and Vine, which became Bob Hope Square this week. There's a lot of detail so, again, I recommend you click on the image for the large version, and then tell me what those Mexican fellows are doing in the background. Oh go ahead and click on this one. 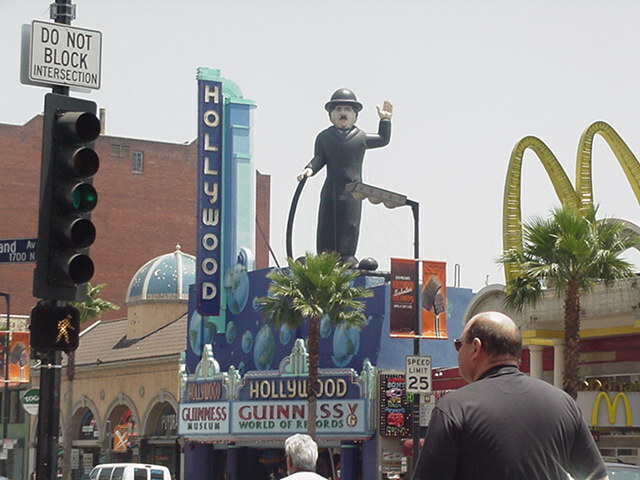 It will give you a keen sense of how cheesy Hollywood is. The inflatable Charlie Chaplin? The Byzantine dome with the stars? The golden arches? And the tacky museum, of sorts? Add an overweight bald man and you have it all. Hollywood at Highland on a Sunday afternoon. 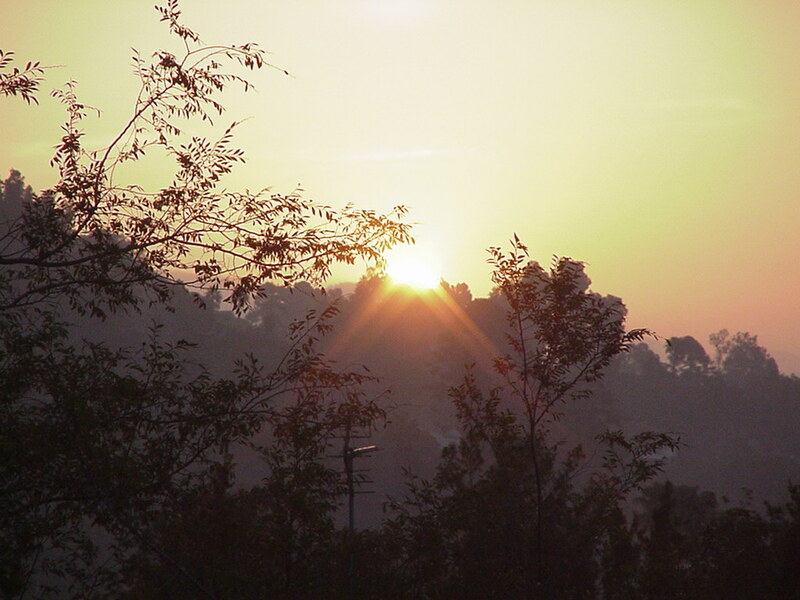 The last good sunrise before the "June Gloom" set in. May 28 from the office window, looking out at Griffith Park across the hills.